The Le Sigh: Premiere: Loveplus - "Get Over It"
Premiere: Loveplus - "Get Over It"
Dancing out of heartbreak with Loveplus. In July, I drop an iron and its lip lands on my lower leg. In August, my boyfriend and I break up. I tell some friends of mine that by the time the burn on my leg heals, I’ll be over it. I see those friends a few times over the course of that month and they continue to check up on how the burn is coming along. Now, I’m nearing the end of September. There’s a scar tracing my upper ankle. The healing is over; the scab’s flaked off, but it still continues as one sharp line, framing the bone there. It’s a scar that could have faded away, unnoticed, but I’ve pushed meaning onto it. It means more now. At this point, it feels involuntary – the scar sits there, not moving, no matter how much I try to ignore it. If I hadn’t set up the connection between the two ways I had been touched those two months, I wouldn’t have this constant reminder, physically on my body; a scrape across skin. But heartbreak is a physical thing. It’s tangible. It affects the way I move; you move. It appears to be affecting the way Loveplus move, too. 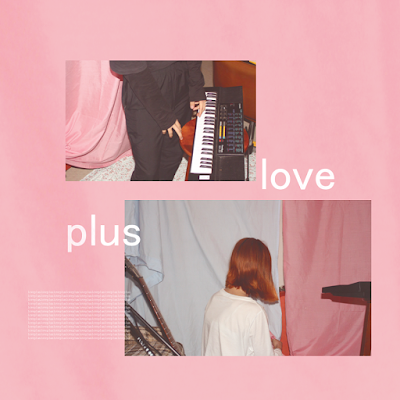 Loveplus is a two-piece band currently spread between Canberra, Australia and Montreal, Canada. In the video for their track "Get Over It," I’m reminded of the tangibility of heartbreak; the way someone’s inside can manifest through the ways they interact with their outside. The video shows one half of Loveplus, Jemimah, throwing herself across her bedroom. Stark text plastered over her every move: “I get over you? / you get over me? / things are easier? / how they are meant to be?” Everywhere, it seems like people are wrapping themselves in bed sheets, tossing themselves across bare mattresses; making movements as an attempt of expressing our feelings. Everywhere, people are writing words to go with these feelings. We’re all in knots and we’re trying to express that. You can hear it in the way that Loveplus are in this song; read it in the way that I’m writing this right now. Let yourself scab over; toss yourself across the bed. Embrace the small scar. GET OVER IT! from Luv+ on Vimeo. Listen to Loveplus on soundcloud.